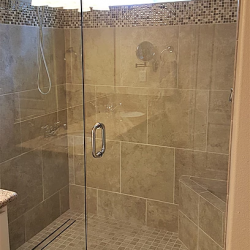 We removed the old bathtub and large window to relocate and enlarge the walk in shower. 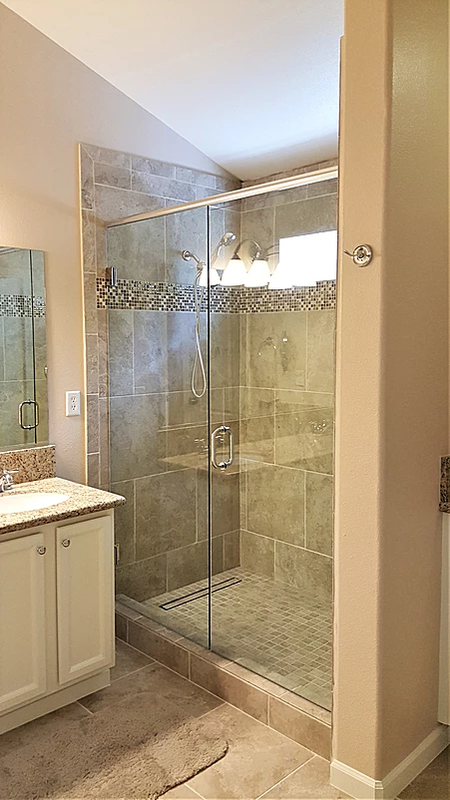 We relocated the shower head and install new shower valve, corner bench seat and linear drain. 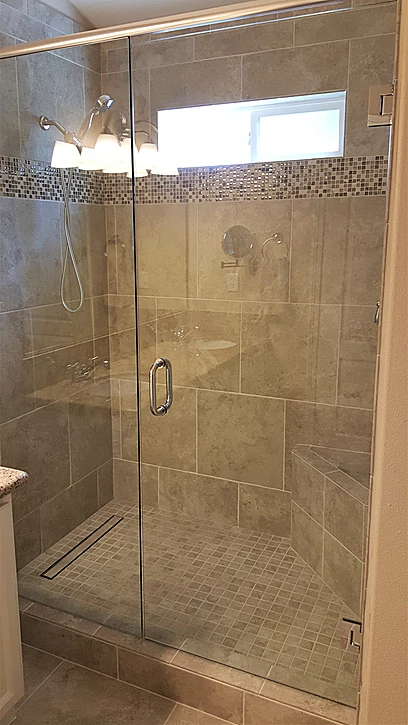 We installed new 12″ x 12″ American Olean Grandview shower wall tile in warm sand color with matching 3″ x 12″ bullnose trim tile and Anatolia Java Mosaic stone and glass accent tile. 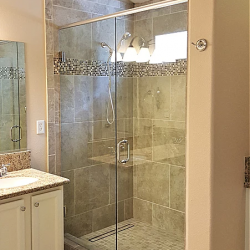 The shower trim kit is a Moen Brantford in polished chrome. 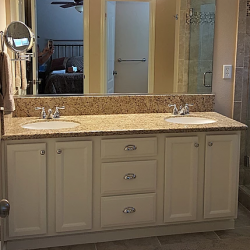 We installed 18″ x 18″ matching bathroom floor tile and refinished the existing vanity cabinet in white with new undermount sinks and Giallo Ornamental Granite countertop including a matching 6″ high backsplash. 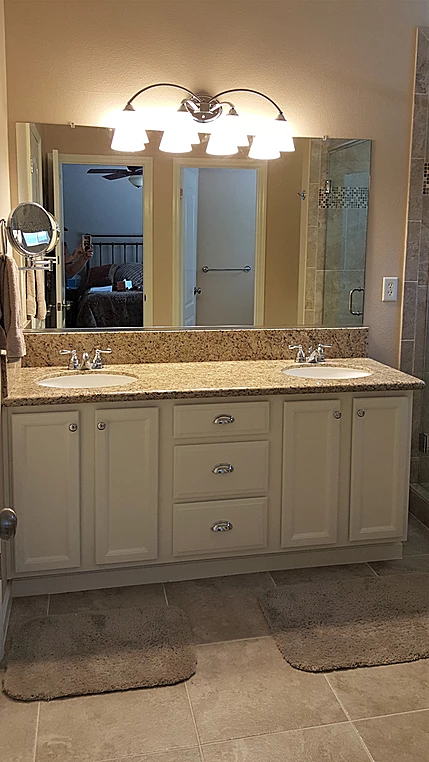 We painted the bathroom and installed new baseboards to finish the bathroom remodel.